SAP’s Hybris (AKA SAP Commerce Cloud) is an eCommerce platform used by companies around the world. A major part of any eCommerce platform involves serving images of products on the website. Most potential B2B and B2C customers have expectations for fast loading web pages. Studies show that 74% of potential buyers will consider abandoning websites if they don’t load in less than 5 seconds. Images are the largest driver of web payload that slows page load time. So optimizing images for specific devices has a big impact on page load time and online sales. Delivering the images quickly from its many CDN edge servers around the world. The net impact is up to 80% image payload reduction and improved web performance by several seconds. When signing up for ImageEngine free 30 day trial or account, you will add the origin URL where your images are currently being stored. Once you have configured your trial you will receive an ImageEngine URL that you can CNAME to match your domain. 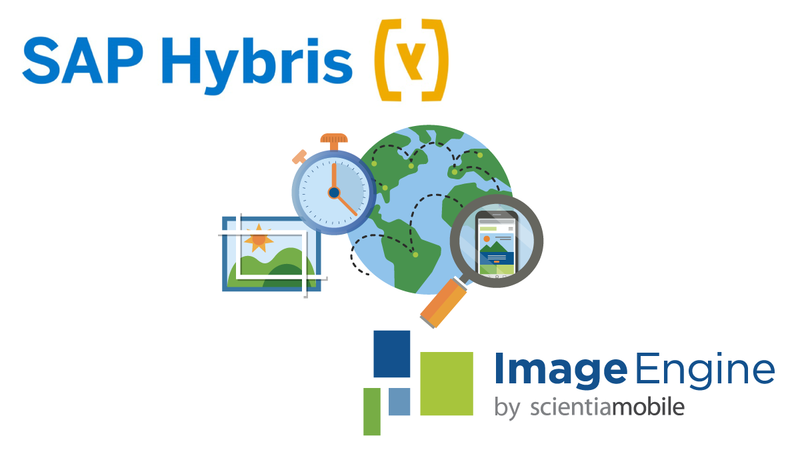 In the following example, if your current domain is example.com, then Hybris stores images in images.example.com. When setting up your ImageEngine Account, you would configure the images.example.com to the ImageEngine hostname. To override Hybris’ out-of-the-box media URL strategy and replace with one configured for ImageEngine, copy this ImageEngineUrlStrategy.java class from Github to your project’s core extension. If you already have a custom URL strategy, then please contact our support team for guidance on how to proceed. Go to your core extension’s resource folder. Find and edit *core-spring.xml to add the below bean definition that references the new imageEngineURL strategy. Make sure above in the class attribute you have given a correct class package path. Add the below properties to local.properties. They will point your image media URL to ImageEngine CDN for image media. Use the images.example.com hostname that your configures during your ImageEngine account or trial setup on the second line. For example, a home page image tree.jpg would have an image URL of images.example.com/tree.jpg. Please visit our ImageEngine documentation for a full explanation of our setup and features. And contact us for a trial or support.